Real estate agent Darryl Evans, who was a good friend of Mr Mackenzie, said the region had lost "an advocate that was proud to serve the community". "I sincerely hope he is remembered as Cr Jamie Ross Mackenzie, passionate councillor and people's representative," he said. "My friend is with us in spirit and his memory will be our gift to him." Councillor colleagues have also expressed sadness. Deputy Mayor Ross Bartley, who was a close friend, said the world was now a lesser place. "He was very passionate about our region," he said. "Anything he did was for the benefit for the community." Cr Bartley said those who knew Mr Mackenzie had taken the news hard. "It's just bloody hard - a waste of a good life," he said. Cr Glyn Rees said his colleague was an active, spirited spokesman for his constituents. "I admired his pride as a councillor, in the region, his community of Killarney and his pride in his family history and tradition," he said. "Jamie's loss is significant, as is his contribution this past four years on council." Known for his passion, Mr Mackenzie was first elected as a Southern Downs councillor in 2012. He was the youngest of five siblings and the fourth generation of his family to live in Killarney. After finishing school, he worked as a town planner in private enterprise and with local governments around Queensland. Outside his professional life, Mr Mackenzie held a number of community positions including secretary of the Killarney Show and Rodeo Society for some time. He had passion for gardening and seasonal food, and his jams were the star of many local shows. In the year 2000 he moved back to Gravel Creek and looked after his war veteran father Bruce, who passed away last year. Ratepayer Lynn Collie first met Mr Mackenzie at a meeting about Grain X in Allora. "Every week he'd call and give me an update" she said. "The majority of the people that lived in this district were for him." Warwick Suicide Prevention Group spokesman Johnno Felton said he was shocked by the news. Mr Felton said Mr Mackenzie's death highlighted the important of the "It Ain't Weak to Speak" message. If you or someone you know needs help, phone Lifeline on 13 11 14 or beyondblue on 1300 22 4636. 2PM: MAYOR Peter Blundell has called for privacy for the Mackenzie family as they deal with the tragic death of former councillor Jamie Mackenzie. Cr Blundell said the council would not make any comment out of respect for the family, who have asked for privacy. Mr Mackenzie's colleagues have expressed their sadness at the tragic news on social media. Cr Cameron Gow said he was "feeling absolutely flattened". "My deepest condolences to his family, friends and our Southern Downs community," he said. "We are a poorer place without his contagious enthusiasm." 9AM: Southern Downs Regional Council has cancelled a special meeting scheduled for this morning out of respect for Jamie Mackenzie. The council was due to meet at 11am to discuss Mr Mackenzie's disqualification as a councillor. Mr Mackenzie was found dead on his property 'Gravel Creek' at Killarney yesterday. Tributes to Mr Mackenzie have flowed on Facebook this morning, as a shocked Southern Downs community struggles to comprehend his tragic death. Readers have described Mr Mackenzie as "a great man" who was "polite" and "friendly". 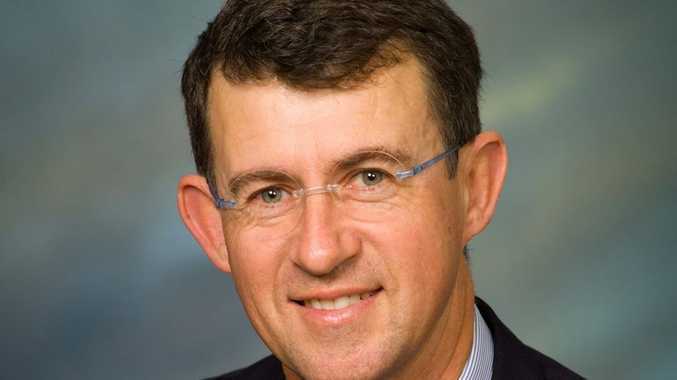 EARLIER: Former Southern Downs Regional councillor Jamie Mackenzie has been found dead on his property near Killarney. Police found his body at 5pm yesterday afternoon. The tragic news comes three days after Mr Mackenzie's shock disqualification as a councillor. Mr Mackenzie had been disqualified after he was declared bankrupt on February 2. Killarney police Sergeant Brad Doyle said the Mackenzie family have requested privacy at this time.